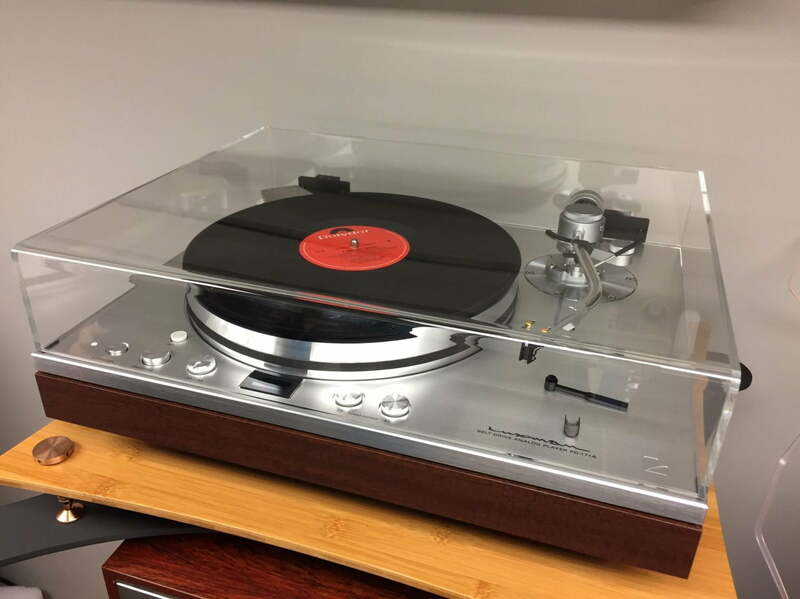 Luxman PD-171A Turntable On-Site Installation – Luxman Super-System! I’ve just finished a fascinating on-site system installation with a colleague of mine. 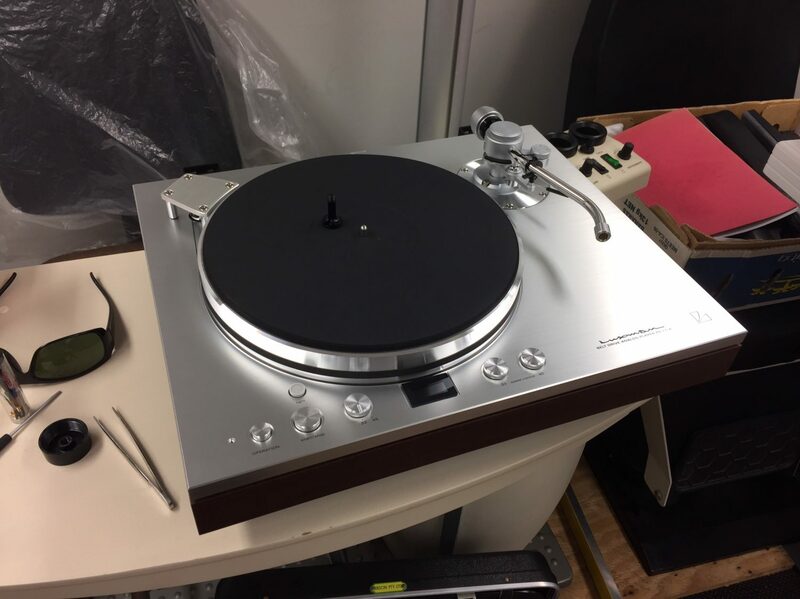 My job was to commission and set-up a Luxman PD-171A turntable, plus Ortofon Cadenza Black cartridge, as part of a Luxman super-system! 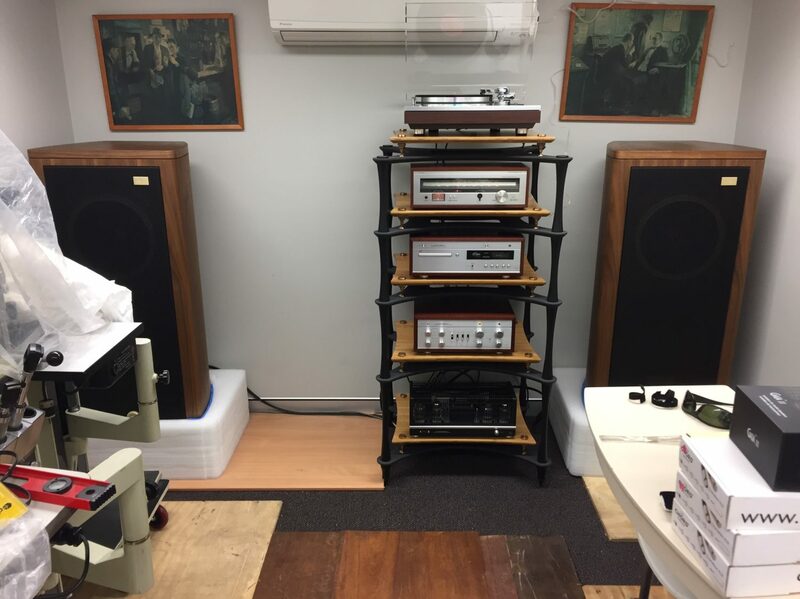 My colleague and good friend, Kent Harvey, owns Douglas Hi-Fi, a famous Perth hi-fi store and one of the few places still selling hi-fi stereo gear. Douglas Hi-Fi supplied some elements of the system you see in these images, including the stunning equipment rack, Luxman PD-171A and Ortofon Cadenza Black moving coil cartridge. 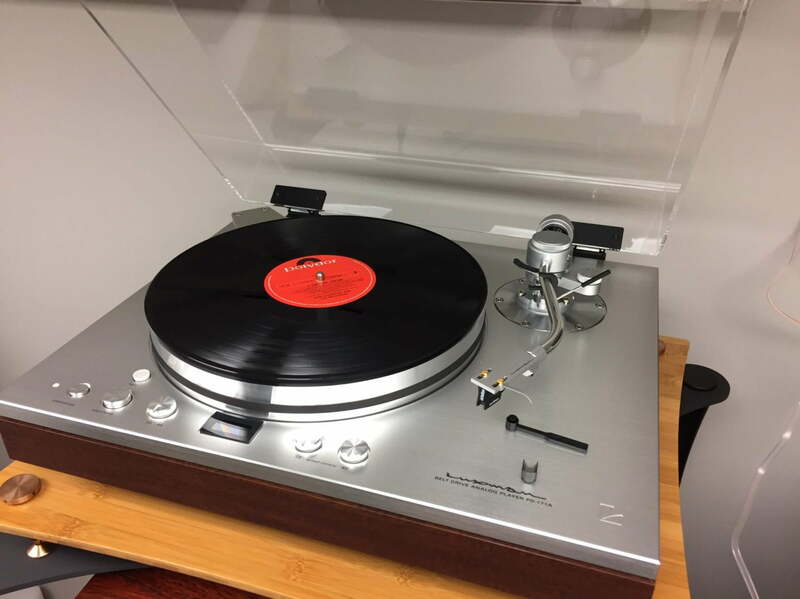 My job was to set-up and install the Luxman PD-171A into this incredible high-end Luxman system – you can view images of the components below. 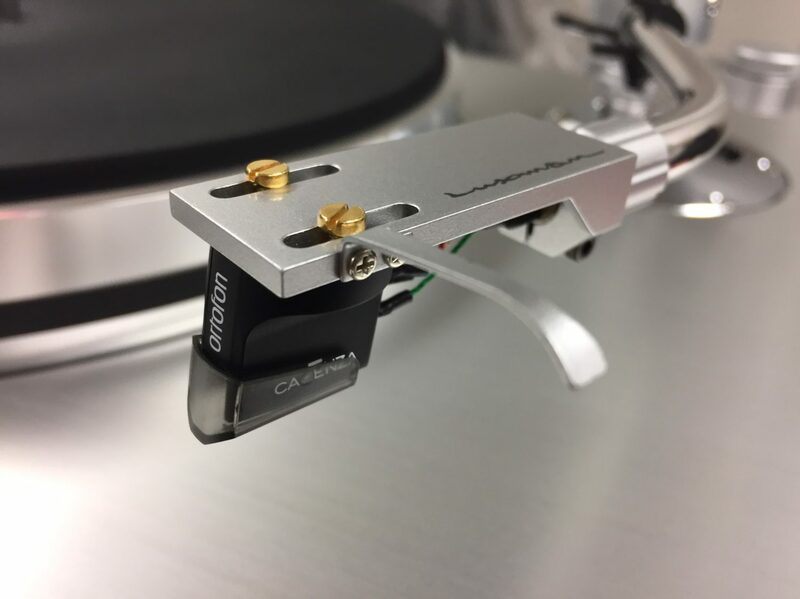 I was also tasked with installing a stunning Ortofon Cadenza Black moving coil cartridge. The Cadenza Black is in fact very similar to my recently sold Ortofon MC Jubilee, my reference cartridge for several years. 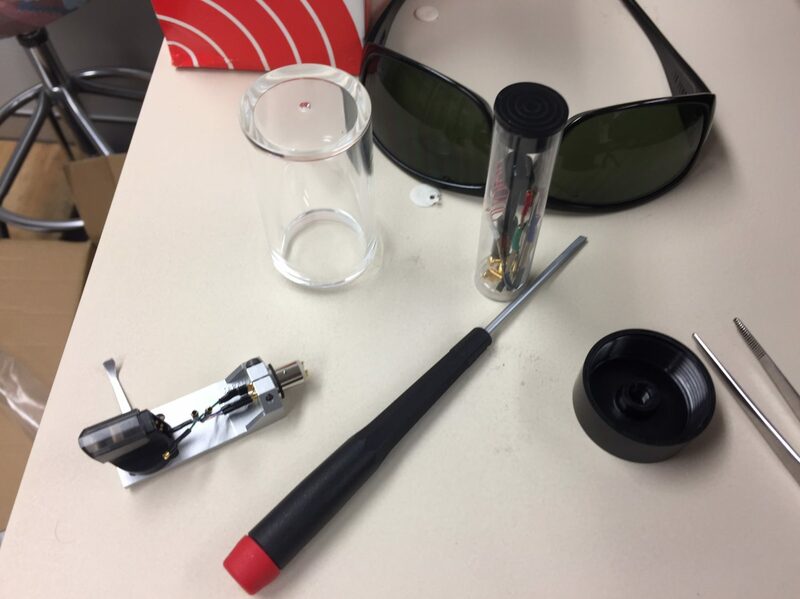 Similarities include the body, boron cantilever, Shibata stylus, silver wire, coil impedance, tracking force… are you getting the picture? I believe the Cadenza Black is in fact a re-packaged MC Jubilee, based on the number of identical elements. You can read what Stereophile thought of the Luxman PD-171 here. This is a serious, heavy-weight belt-drive deck. 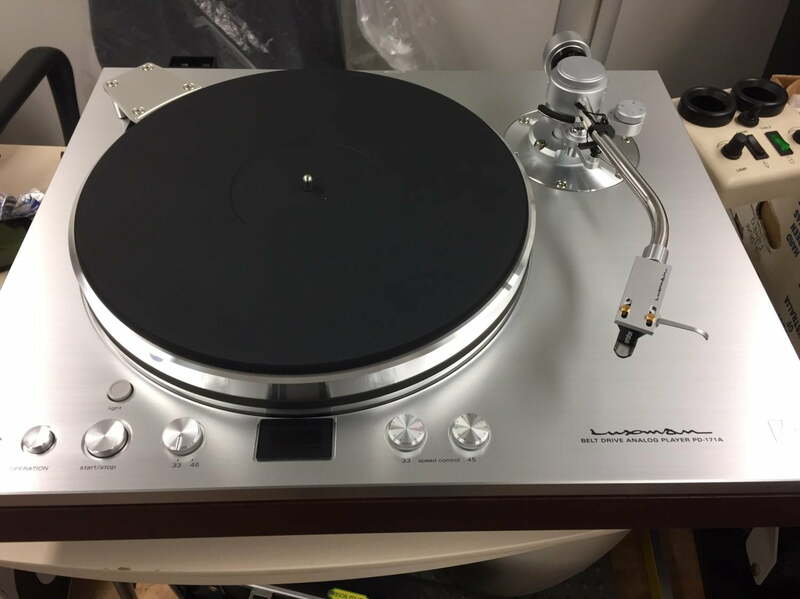 It comes with a Jelco tonearm, similar to the SA-250, not quite as nice as the SA-750 I reviewed a while back and use with one of my turntables, but still pretty decent. The deck itself is hewn from solid aluminium, beautifully machined and presented. 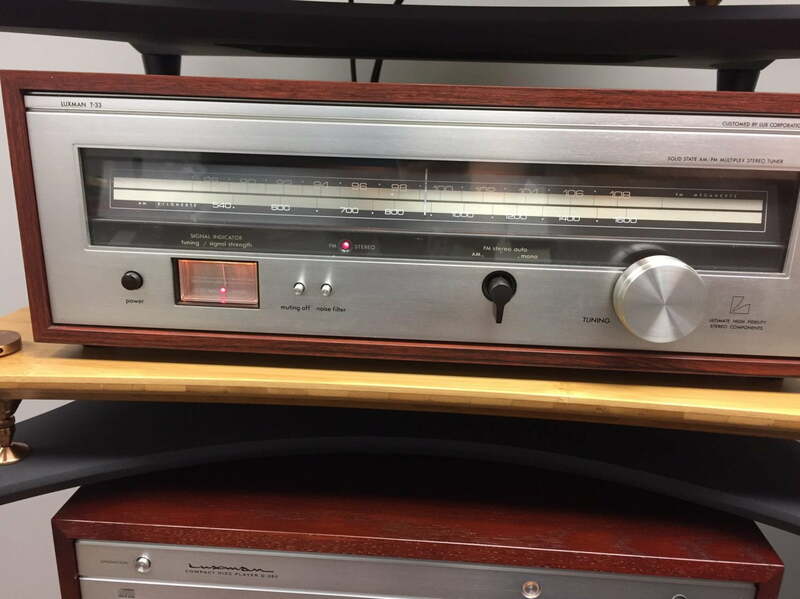 Other elements of the system include: A vintage Luxman T-33 AM/FM tuner, Luxman D-380 CD player, Luxman CL-38uSE Vacuum Tube Control Amplifier and Luxman MQ-88uSE Vacuum Tube Power Amplifier. Don’t forget to watch the short video of us enjoying the new system at the end! So, here she sits, ready for set-up. In this case the deck will be receiving a beautiful Ortofon Cadenza Black moving coil cartridge which is very similar to my recently sold MC Jubilee. My tools for on-site work. Apparently I looked like a photocopier tech with this lot – a bit harsh I reckon! Here I’ve installed the Cadenza Black into the lovely magnesium head-shell. In this case, I mounted the cart with the standard 52mm spec listed by Luxman. Interestingly, this is also the Technics standard mounting spec and has been for decades. 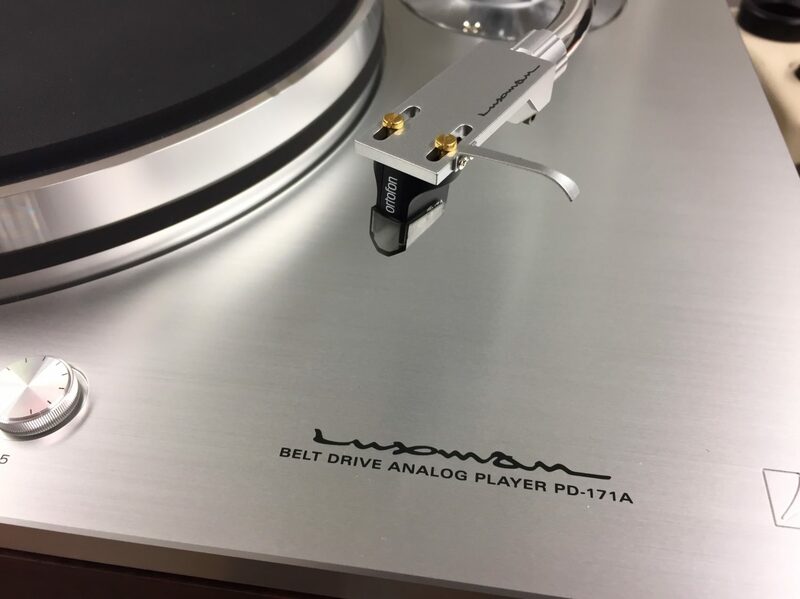 WOW – the Luxman PD-171A is a slight update of the very well-reviewed PD-171. 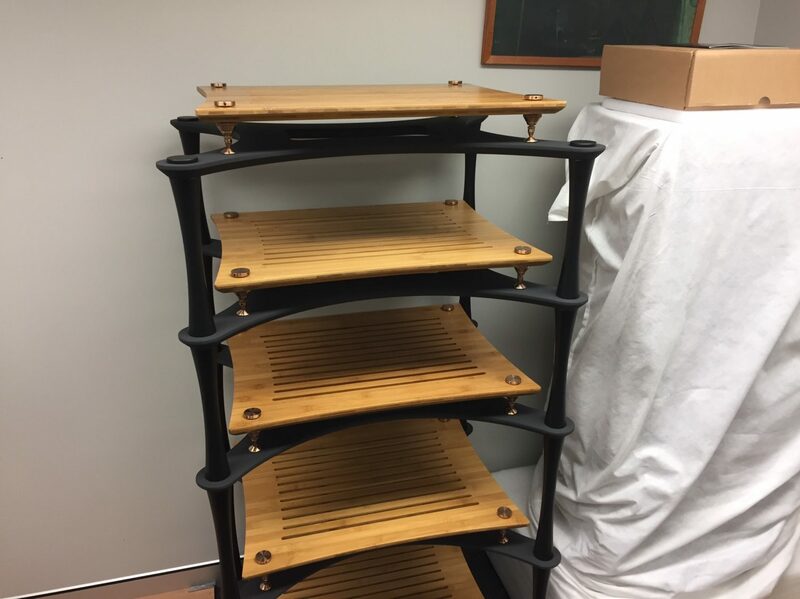 The equipment rack, into which all the pieces were installed. The system as a whole – WOW! 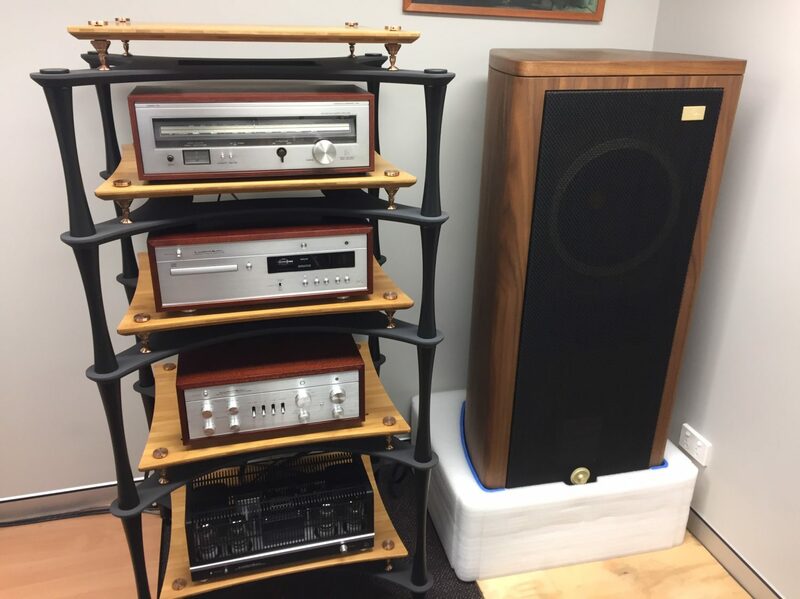 Tannoy speakers, and Luxman from top to bottom, including a recently acquired vintage tuner to match the modern, but vintage looking other Luxman components. 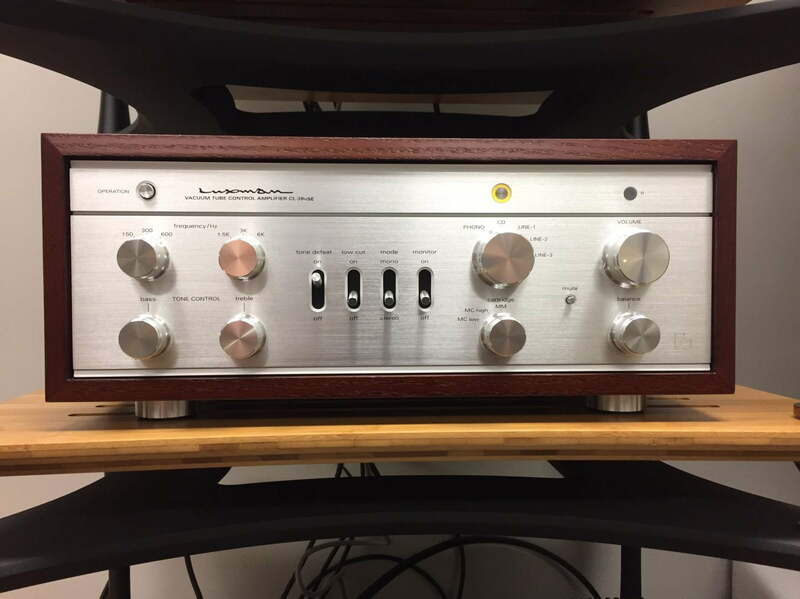 Vintage Luxman T-33 AM/FM stereo tuner matches the other new elements cosmetically. Its fantastic the Luxman are back and making gorgeous pieces like this CL-38uSE Vacuum Tube Control Amplifier. 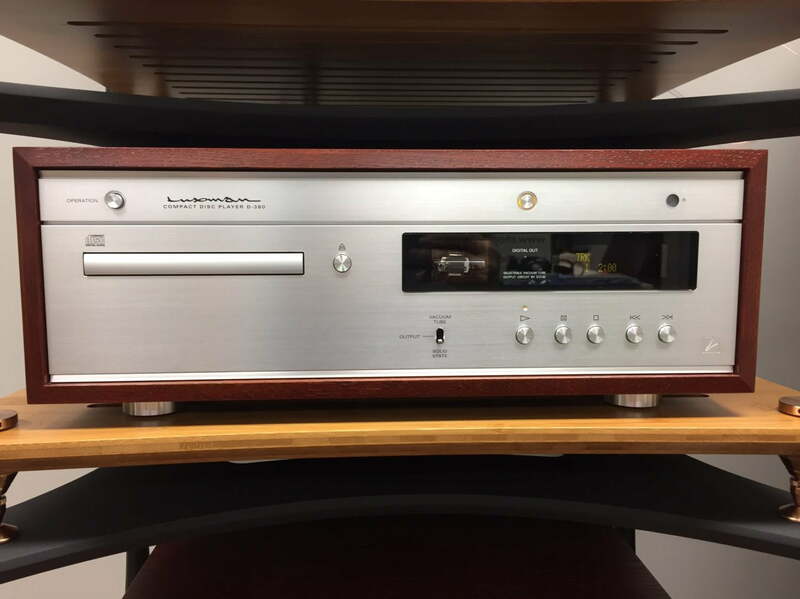 And WOW – this gorgeous Luxman D-380 Vacuum Tube CD player. Equally stunning Luxman MQ-88uSE Vacuum Tube Power Amplifier.